February 18 2015 is not just another day. It’s the day before the first day of the Lunar New Year, the start of the Year of the Sheep and the beginning of the longest festival in the Chinese calendar. On Chinese New Year’s Eve, families get together for a special dinner. It’s a feast like a Thanksgiving dinner or Christmas dinner. Traditional food is prepared, often by the eldest son in the family who is responsible for cooking as many as 16 different dishes. Sons and daughters, aunties, uncles and cousins travel great distances to reunite for the New Year’s Eve dinner and the celebrations that follow but this tradition is changing for many families. My friend Grace is a typical example. She lives in New Zealand with her husband and daughter and has decided not to travel home to China this year. Grace is 49 years old and this will be the first time she has missed her extended family gathering. It’s easy to underestimate how painful this break in tradition is. For Grace, not being at home at Chinese New Year means dealing with guilt and sadness but it also gives her the freedom to break with other traditions. There are white flowers in her house instead of red ones, and she doesn’t mind. Grace’s New Year’s Eve dinner won’t be cooked at home; she’ll go to a restaurant with friends and there will be wine from New Zealand not China. I was invited to join Grace’s New Year’s Eve dinner. We went to a brightly lit restaurant with an enormous fish tank on one side and round paper lanterns hanging from the ceiling. 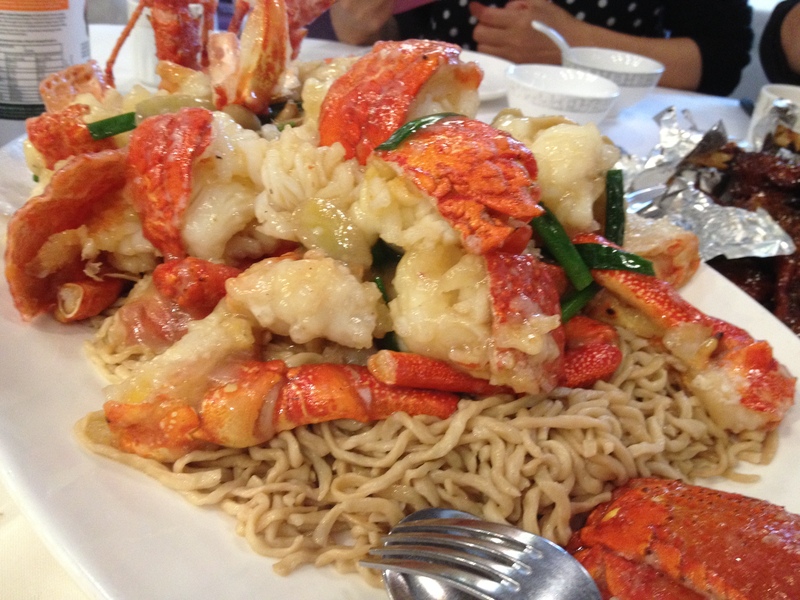 We ate lobster – auspicious because of its redness, hand-made noodles left long to signify a prosperous life, whole baked fish and, as a nod to her new homeland, New Zealand lamb. Grace took care that some of the fish was packed in a box to take home to symbolise that there will be food for her family for next year. Grace and her family went home to watch the live broadcast of celebrations in China. She said that her family in China would be watching too and that, I think, made being far away a little more bearable.